Police are hunting a “truly despicable” thief who stole money from a woman while she was in the grip of an epileptic seizure. 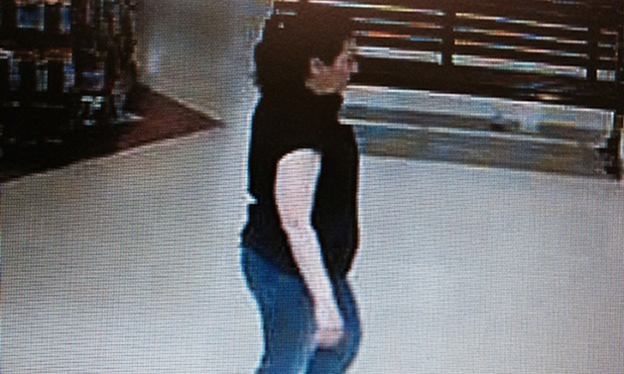 West Midlands police have released a CCTV image of a woman they want to trace after the incident in the Ryemarket shopping centre in Stourbridge. The victim had collapsed and begun violently fitting in a seizure that lasted 20 minutes. While passersby rushed to comfort her, police believe one person took advantage of the drama, reaching into the woman’s handbag and stealing £60 in cash. The victim made a full recovery and only afterwards realised her money had gone. Police have described the woman they wish to trace as being white, in her 30s or 40s, about 5ft 5in tall and with long dark hair tied back in a ponytail. Anyone with information about the incident, which happened on the afternoon of 7 April, is urged to call the police on 101.